Welcome to the #1 Game in 20+ Countries Worldwide! 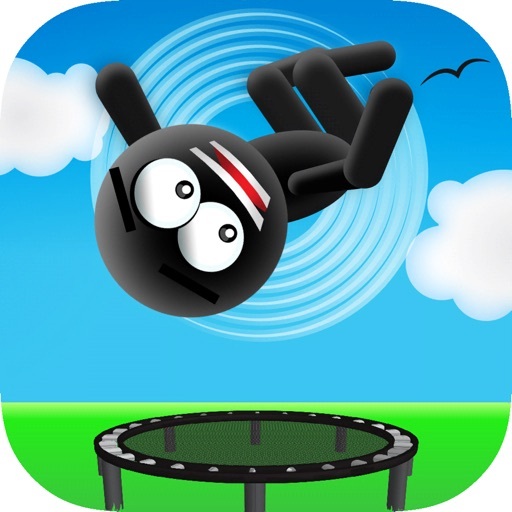 and the real question is this: Do you have what it takes to master the insane height & flip combos of Stickman trampoline? 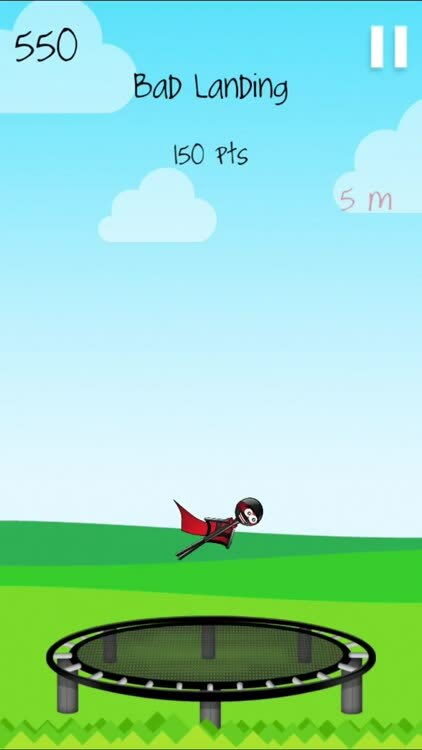 Quit wasting your time on a bottle flip, and join over 2.5 MILLION Downloaders who have gotten hooked on Stickman Trampoline! 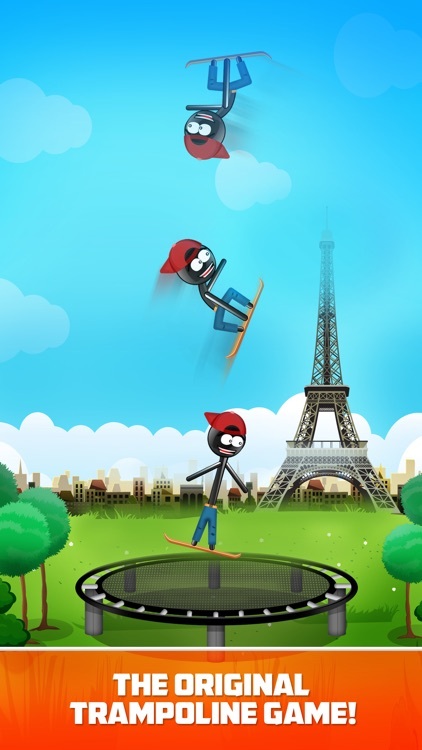 Try your best to top Game Center Leaderboards, unlock new levels and characters that have their UNIQUE PHYSICS and land jumps like a Stickman Champ! ***** - "It's like flappy birds on steroids. It is so addicting." 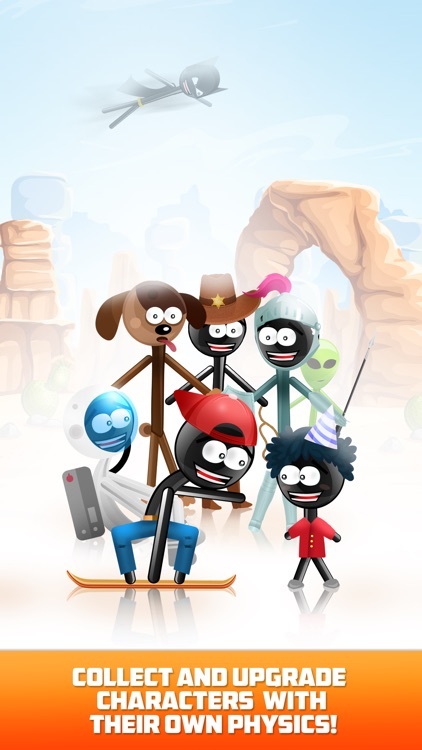 ***** - "This game is so good but warning it's so addictive"
***** - "The 3rd Stickman is my favourite by far!" 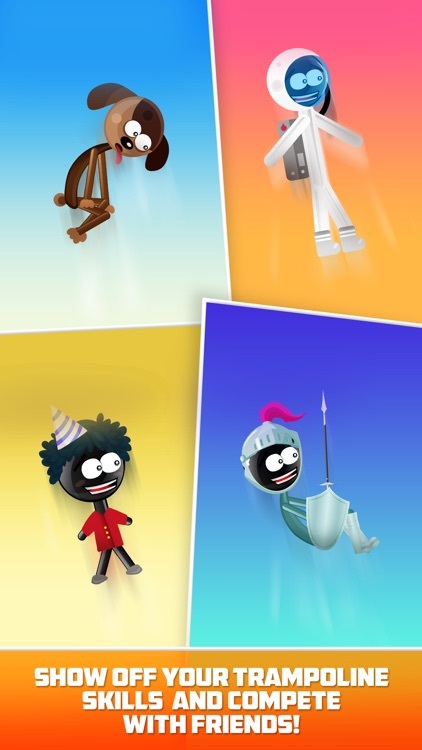 - 13 UNIQUE Stickman/Stickwoman characters, each with their own physics - can you master them all? - 10 Out of this World themes to jump in - including new Paris, Rome, SPACE, and Hollywood! 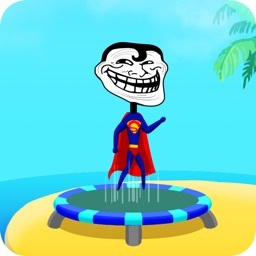 - Earn coins with high scores and by completing achievements, then head to the store to unlock the next level! 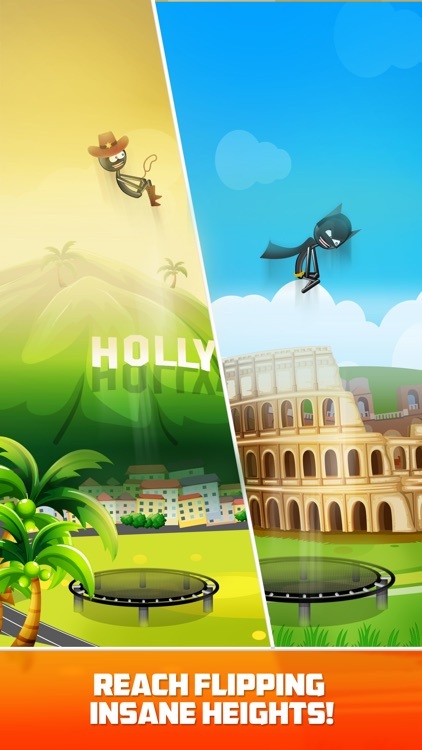 - Challenge your friends & try to be on top of the worldwide leaderboards! 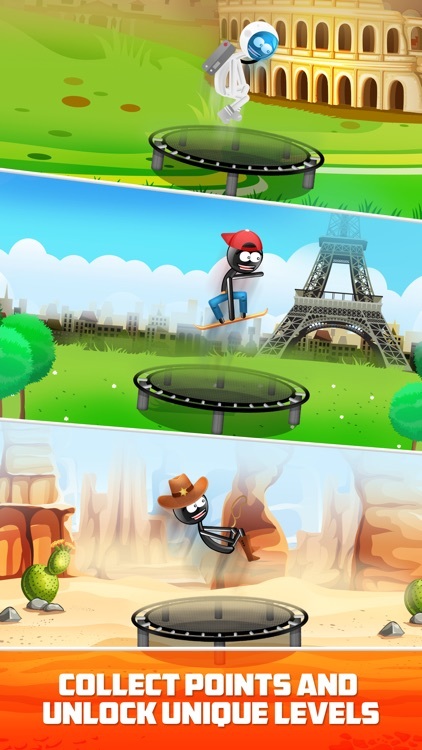 If you're a fan of any other Stickman style games, Stickman Trampoline is a must-have! 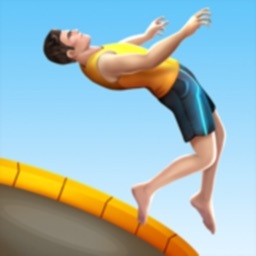 DOWNLOAD THIS AMAZING GAME NOW! Check out the paid version for exclusive Challenge Mode and no ads! Please feel free to contact us with your feedback or suggestions at [email protected] We would love to hear from you!